Selling a house in the local property market is no easy task and it is especially challenging if you are a prospective seller who is about to sell their house for the first time. 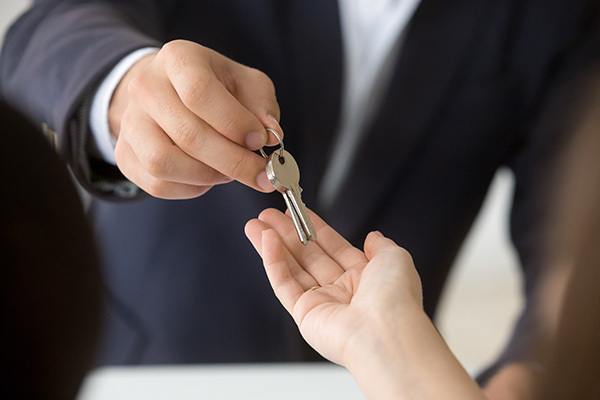 The sale of a property is a transaction bound by law and as such, you must be both meticulous and thorough about the details of the final deal. Hence, check out below for a few important tips and tricks that you should consider, before selling your home for the very first time. The first impression a prospective buyer could have of your home can potentially make or break a deal. Hence, it’s extremely important that you take your time to prepare your home for the sale. This means you should fix any obvious defects easily visible in your property such as malfunctioning appliances or leaking taps. In addition to that, you can also take measures to make your house look new and attractive, by applying a new pain and removing some of the old furniture inside. A real estate transaction is a complex process that is full of multiple levels, where the success of the transaction requires the successful completion of each task at every level. Remember that it’s not only a commercial transaction but is also a legal one, bound by law. As such, if you’re a first time home seller, then one of the smartest things you can do is to hire an experienced real estate broker, who will handle all the necessary burdens of the transaction on your behalf. One of the most common mistakes first time home sellers would do is to overprice their house, hoping that a wealthy enough buyer would stumble upon their property, fall in love with it and would pay the full value to buy your home. However, unfortunately, in the real world, this does not happen that way. Listen to your real estate agent who will have a much better understanding of the local property market in your region and agree to a more realistic starting price for your home. Digital marketing has become widely popular across industries who have quickly discovered that it is an affordable yet very effective way to market their products to the rest of the world. Because of this, it would be a good idea for a first time home seller like you, to utilise the power of online digital marketing tactics to improve the chances of landing the best deal for your home. You can discuss with your real estate broker for the best way to market your property using various online marketing methods already available. If you receive a purchase offer for your home, then remember to respond to such an offer as quickly as you can, without keeping a potential buyer waiting for a response from you. The reason for this is that most property buyers may not be fixated in buying only your property. Chances are, they are checking out a few other homes before making a solid purchase decision. If you delay your response and further go on to delay a home tour of your property, then those potential buyers may move on to a different home. This might not seem obvious at first, but if you’re a first time home seller, then knowing what you should do both before and after selling your property is extremely important for a smoother transaction. First time home sellers often neglect to plan their next move on what to do after they sell their current home. Do you already have another house to move in after the sale? Will you have to buy a new home? Will you be building a new house to move in later? These are important questions that you must have answers before you finalise your home sale.